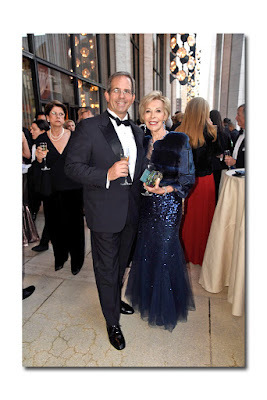 The American Ballet Theatre (ABT) held its annual fall gala at The David H. Koch Theater Wednesday October 18, 2017 with cocktails beginning at 5:30 PM. 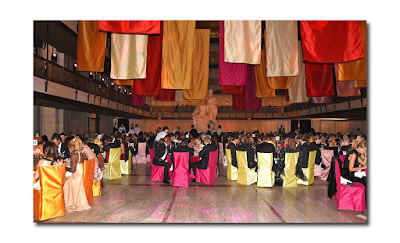 While this happening occurs every year there was nothing mundane about this evening as a ballet gala this star-studded hasn't occurred in years. 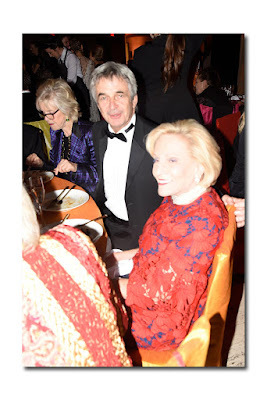 The crowd was replete with celebrities, philanthropists, designers, and artists who came out on a fall evening when there were at least four competing events including the black-tie Armory Gala. 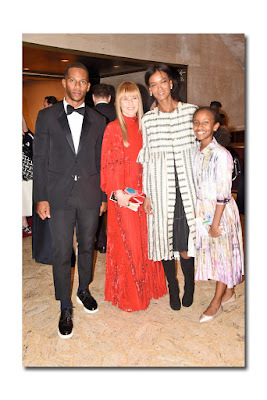 Three fashion editors: Vanessa Friedman, Hamish Bowles and Amy Astley; Four sports stars: Victor Cruz, Emeka Okafor, Mario Martinez and Corey Lewis; Four supermodels: Veronica Webb, Constance Jablonski, Sofia Sanchez and Liya Kebede - but who's counting. 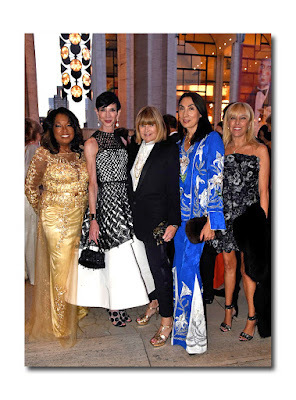 Amy Fine Collins, Allison Sarofim, John Utendahl and Radmila Lolly, Jody and Sheila Grant, Star Jones, Susan Fales Hill, Aerin Lauder, Mary Elizabeth Snow and dozens of others. This evening was all about "Kevin" and "Valentino" that being Kevin McKenzie the artistic director who was celebrating 25 years at ABT and Valentino Carlotti a former partner at Goldman Sachs who was just named Global Head of Business Development at Sotheby's and was receiving the Melville Straus Leadership Achievement Award. Valentino is one of those Renaissance men who is a Trustee on the boards of Carnegie Hall, The Guggenheim Museum, American Ballet Theatre, Jazz at Lincoln Center and The Studio Museum in Harlem. He is also one of the humblest, kindest most down-to-earth men I have ever met. 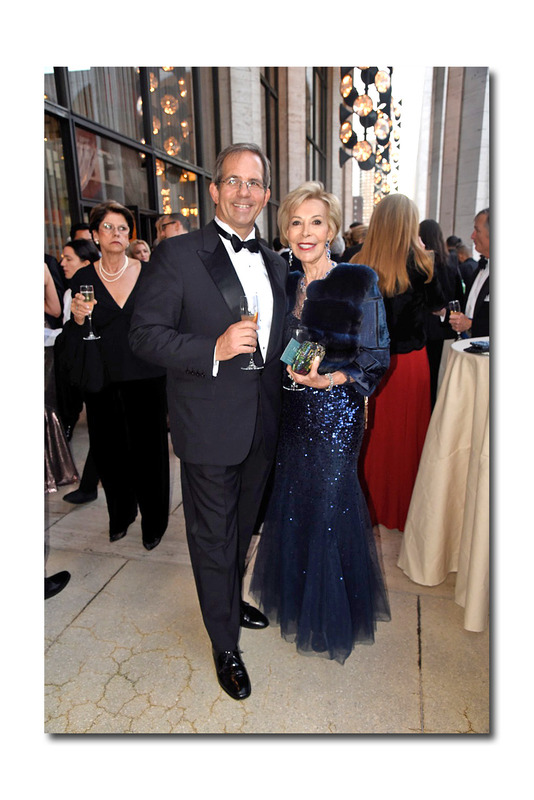 Andy Barth Chairman of ABT Board, and Anka Palitz. Carlotti devotes his life to philanthropic causes while still being a major player on Wall Street. 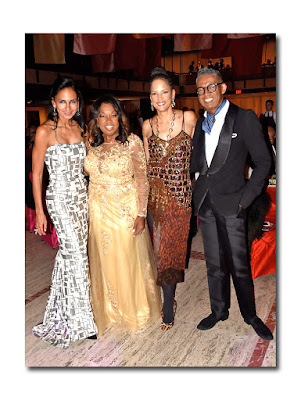 He has been "part adviser, part benefactor" to African American prima ballerina Misty Copeland playing a pivotal role in her ascent to superstardom through his connections at Goldman Sachs as leader of its institutional client group in sales and trading. I am just curious if "Valentino Carlotti" is his stage or birth name as when I originally heard of him I was expecting a Sophia Loren lookalike to appear. 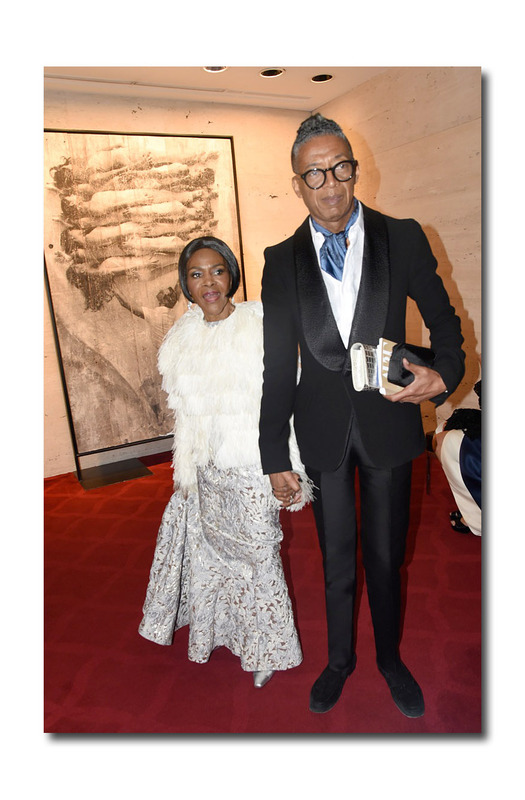 Valentino has been one of the initiating forces of Project Plie' a program devoted to increasing racial and ethnic representation in ballet and diversifying America's ballet companies. Plie' was founded in September 2013 and tonight we were shown a video of its far reaching effects in bringing minorities into the current pool of dancers with the help of Misty Copeland. Tonight also paid homage to Artistic Director Kevin McKenzie another soft spoken superstar who leads with little fanfare. We were shown a film on his brilliant career with principal dancer Herman Cornejo remarking that McKenzie taught him invaluable lessons, including the importance of musicality in dance-forcing Cornejo to hum along with the music at times to sense the rhythm. Kevin told me he was very excited at the wonderful tribute he was given and felt his greatest accomplishment was the hiring of choreographer Alexei Ratmansky as Artist-in-Residence in 2009. This evening began with the World Premiere of "The Gift" choreographed by Jessica Lang and danced by the young dancers from the Jacqueline Kennedy Onassis School who were exquisite. We learned that 9 of the current principal dancers were chosen from the Jacqueline Kennedy Onassis School a major feeder to ABT. The next world premiere was "Songs of Bukovina" which was choreographed by Alexei Ratmansky and danced by Isabella Boylston and Alban Lendorf. 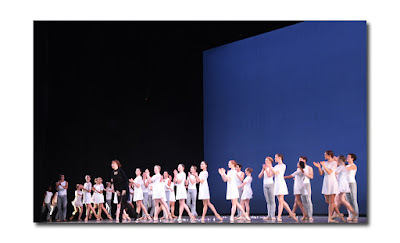 The last act "Thirteen Diversions" choreographed by Christopher Wheeldon was given its world premiere at ABT in May 2011. This piece was my favorite of the evening with Stella Abrera and Misty Copeland regaling the audience with their incredible strength and flexibility. This piece was perfect for Misty whose sinewy muscles and powerful athleticism were displayed in full force. The ballet ended at 8:15 PM without any intermission. 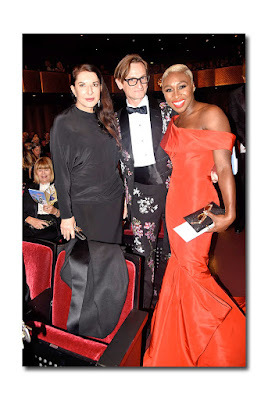 I noticed ABT has eliminated intermissions from their performances on gala nights; perhaps so that the audience can attend the $2,500 dinner at a timely hour. This seems logical however, a brief pause allows guests to converse with those who might not be attending the dinner while creating excitement for the upcoming performances. 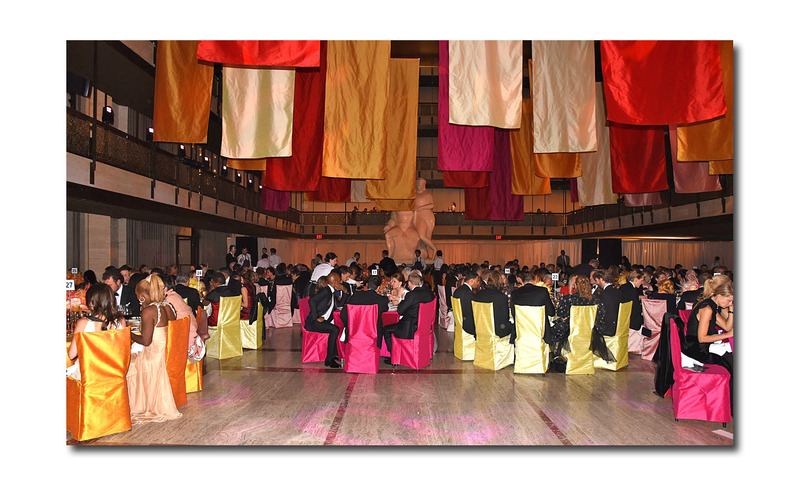 Nonetheless, the dinner began earlier than expected on the second floor of the Koch Theater which contained lovely pink and orange decor with pink roses and tablecloths adorning the opulent tables. The designs adorning the dinner attendees were no less spectacular including some men in the mix. Firstly, Victor Cruz looked smashing in a Givenchy suit with Public School shoes. Cruz is about to announce a major collaboration with a designer in the next year but was not yet able to reveal the details. Cruz said he was a major fan of Gucci's Alessandro Michele and recently participated in its "DIY" program which means "design it yourself." I had never heard of DIY and thought it was related to drunk driving but was glad Victor shared this critical information with me. Another one of innovator Michele's brilliant ideas which allows the consumer to participate in the designing process with Cruz customizing a burgundy and navy plaid Gucci suit. 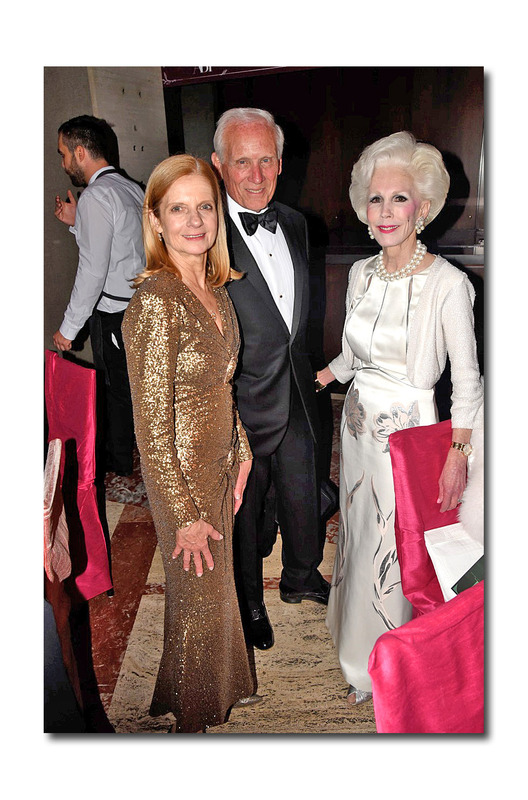 You learn something new every day and tonight I learned two things with major philanthropic personality Diana DiMenna informing me that Wes Gordon was consulting at Carolina Herrera and she was looking forward to sampling some of the attire. 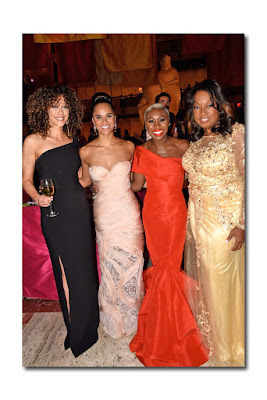 Exquisite Deeda Blair in Ralph Rucci; Anka Palitz in Monique Lhuillier: Maggie Gyllenhaal bringing it home in a red Monse gown; Cynthia Erivo in a fabulous red Zac Posen; Susan Fales Hill in a spectacular B Michael gown; and my Aunt Bernice who looked positively elegant in a black pantsuit (I love her). This list is by no means exhaustive as there were hundreds of other lovely ladies who wowed and astounded-it's been a long night. At the conclusion of the evening a DJ played my favorite Michael Jackson and Madonna tunes as Michael Kors and Hamish Bowles danced up a storm with the announcement that a record-breaking $2 million had been raised. At 10:30 PM the night concluded with guests heading home to get ready for tomorrow's big night out-stay tuned.